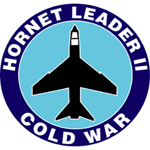 This expansion to Hornet Leader adds several new types of aircraft including the A-7 Corsair II and RA-5c Vigilante. Two new WWIII campaigns included: Atlantic 1980 and Mediterranean 1980. Down In Flames Dragons takes the Down In Flames series of tactical card games to a whole new genre, fantasy! Where else can you fire off Nukes to prevent natural disasters? It is up to your team of heroic reindeer to gather weapons and battle the crazed elves to save the day!